Bliss Massage | Stop By Bliss Massage for your holiday shopping needs! 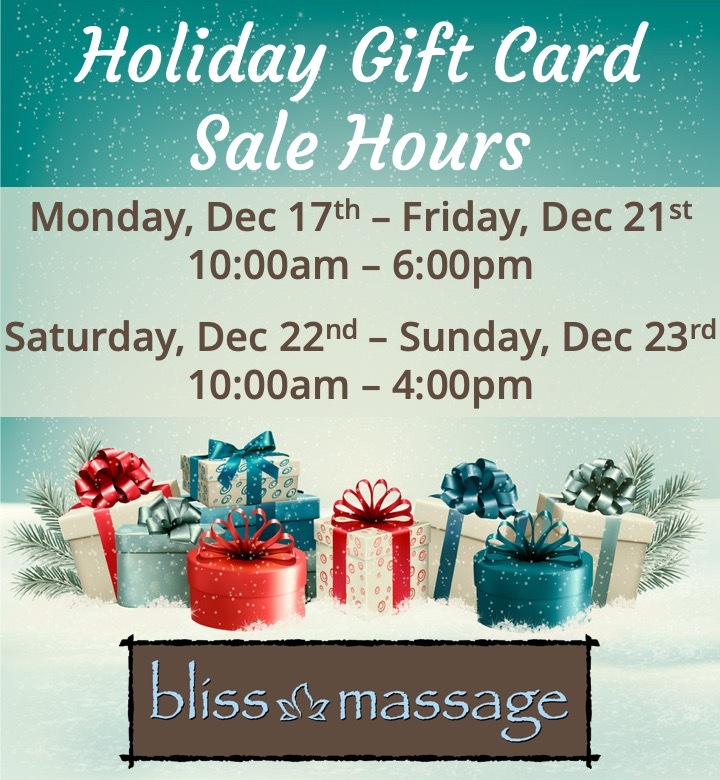 Stop By Bliss Massage for your holiday shopping needs! In Store or Online, Bliss makes Gift Card shopping a breeze this season! Ready or not, Christmas is a week away! Bliss Massage is helping you tie up the finishing touches on your holiday shopping with the gift that gives back. Treat your loved ones to a Gift Card for Bliss, and relax knowing that you’ll soon be surrounded by some pampered friends and family!